PX Me - AVAILABLE NOW on Amazon | PX This. 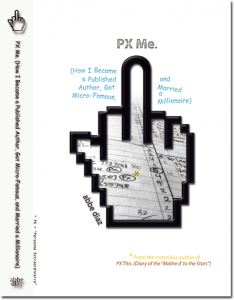 PX Me (How I Became a Published Author, Got Micro-Famous, and Married a Millionaire) is FINALLY available in its entirety at Amazon for Kindle. Thank you for all your continuing patience, encouragement, and support.